The Scottsdale String Quartet can add the perfect touch to any occasion. We would be honored to perform for you. College Professors, public school educators, concert masters and professional performers. You will find them performing with The Phoenix Symphony, Tempe Symphony, Mesa Symphony, Scottsdale Symphony, Scottsdale Philharmonic, Arizona Repertoire Orchestra, Scottsdale Baroque Orchestra, Phoenix Little Theatre, Symphony of the Southwest, and Musica Nova to name but a few. Carl is the Executive Director of the Scottsdale Philharmonic. He holds a bachelors degree in music from Arizona State University, a masters degree from Northern Arizona University and did his doctoral work at Northern Arizona University. 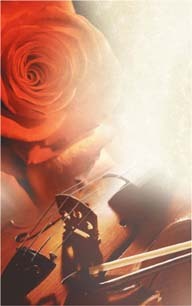 Carl performs with the Phoenix String Quartet, the Tempe Symphony, the Scottsdale Philharmonic and the Arizona Repertoire Orchestra. As an educator he has held teaching positions at Grand Canyon University, Phoenix College, and K-12 public schools in Arizona for over thirty years. 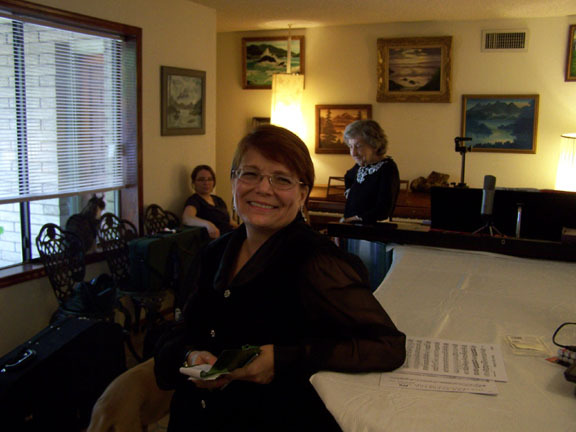 Carl offers private instruction in Piano, Violin, and Viola at a studio in North Phoenix to serious students at all levels. Carl's orchestral affiliations include, the Tucson Symphony, Flagstaff Symphony, Scottsdale Philharmonic, Tempe Symphony, Phoenix Symphony, Scottsdale Baroque Orchestra, Mesa Symphony and movie soundtracks with Studio Orchestras in California. His received his first contract with a professional orchestra at the age of fourteen and is currently lead violinist with the Scottsdale String Quartet. 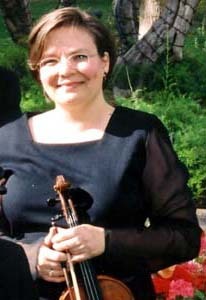 Caroline holds a bachelor's degree in violin performance from Arizona State University. 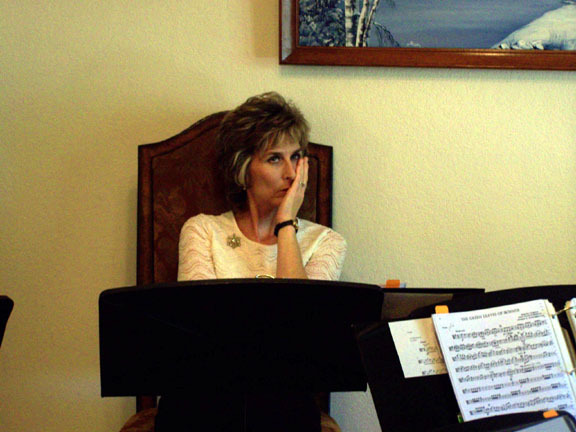 Locally, she has performed with the Phoenix Symphony, Symphony of the West Valley, and Musica Nova. Caroline is co-director of the Arizona Repertory Orchestra and teaches orchestra for the Chandler Unified School District. Caroline has appeared with with the Brevard North Carolina Music Center Orchestra, and New College Orchestra in Sarasota Florida. 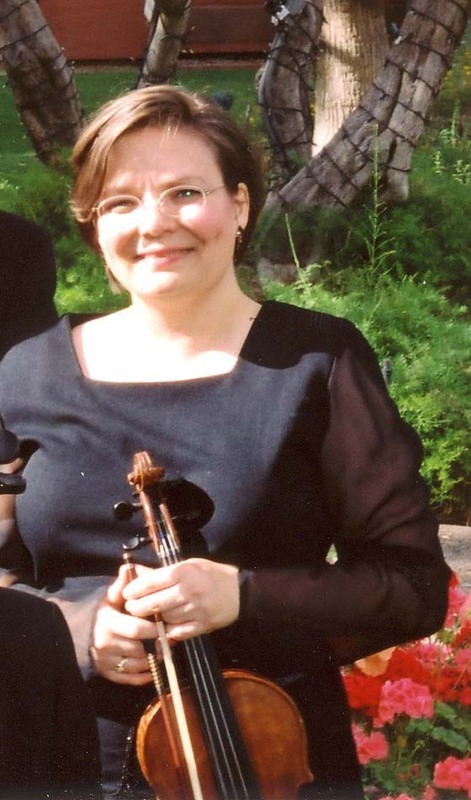 As an educator and performer she has and attended the National Music Center in Interlochen Michigan and maintains a private violin/viola studio here in Metro Phoenix. 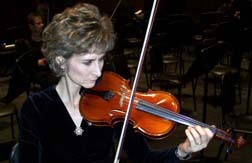 Nancy received a bachelors in violin performance from Western Michigan University, a degree in string pedagogy from Arizona State University where she studied viola with Bill Majors, and a Masters of Musical Arts from Western Kentucky University. Nancy co-founded the young strings academy in Kalamazoo Michigan. She currently teaches orchestra for the Mesa Public School system, and performs with the Phoenix String Quartet, and the Scottsdale String Quartet. She plays first violin with the Tempe Symphony, and the Scottsdale Philharmonic. Member of the Phoenix String Quartet Association. 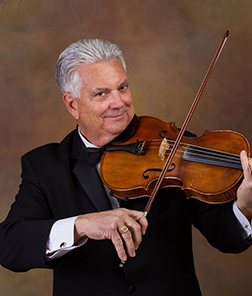 Bob is a professional violist that began performing with the Phoenix Symphony at the age of 14. He has served as principal Violist in the Chandler. 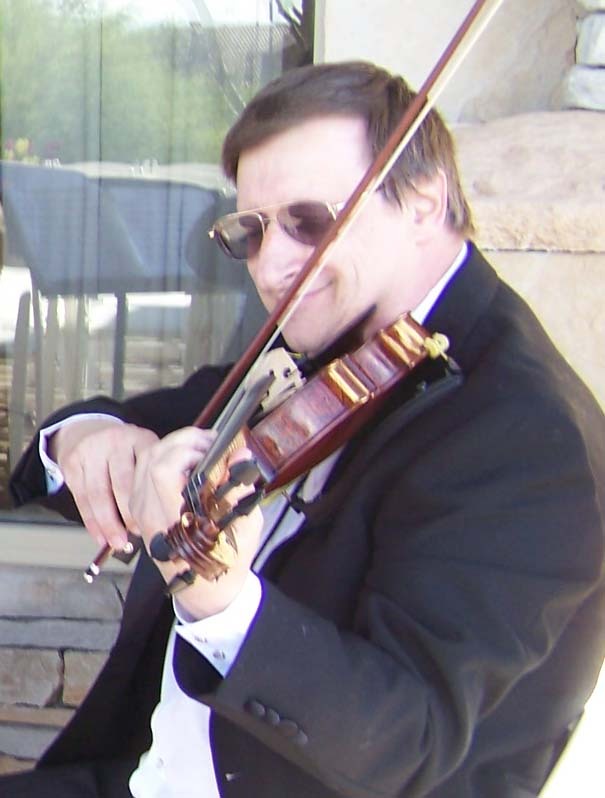 He is also a trustee of the Scottsdale Philharmonic and plays first stand viola with them. Bob also served as a member of the Air Force Strolling Strings. During his career he has been a member of, Colorado Springs Symphony, Tempe Symphony, Mesa Symphony, Mesa College Community Orchestra, the Scottsdale Musical Arts Orchestra, the Fine Arts String Orchestra. He currently performs with the Scottsdale Philharmonic. Scottsdale String Quartet Artist in Residence. Ajay Patel is associate conductor of the Scottsdale Philharmonic and holds a Masters Degree in Cello Performance from Arizona State University. 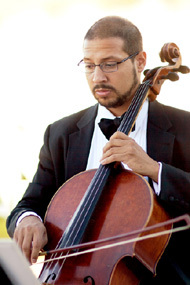 Ajay has performed with the Arizona Opera, has served as substitute principal cello for the Chandler Symphony, and has been a member of the Symphony of the Southwest and Musica Nova orchestras. Ajay is the Musical Director and Conductor of the East Valley Youth Symphony (evysaz.org). He founded the Chandler Academy for the Performing Arts. In addition to performing, he is a full time educator in the Chandler School district, directing the orchestra program at Basha High School. Ajay maintains a high level cello studio from his residence in Gilbert, and his students have participated in Regionals, All State, and high level performance competitions. 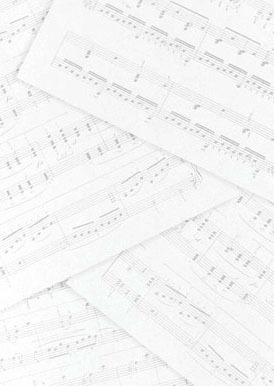 For more information about studying cello with Mr. Patel, please send an email to cellopatel@gmail.com. Ajay is excited to be affiliated with the Scottsdale String Quartet. Mr. Patel is an active member of organizations that support Arizona music education. He has served positions for the Arizona Band and Orchestra Directors Association as Southwest Regional Orchestra Chair, and southwest Regional Governor He is also a member of the American String Teacher Association and the National Association of Music Education.